Winds have dropped to about 40 miles per hour since it roared ashore along the mid-Atlantic coast on Friday as a hurricane is crawling west over two states at 6 mph, the National Hurricane Center in Miami said early Sunday. Roads were closed and authorities warned of landslides, tornadoes and flash floods, with dams and bridges in peril as rivers and creeks swelled. As of Saturday, about 676,000 homes and businesses were without power in North Carolina, along with 119,000 in South Carolina. Trump, who plans to visit the region next week has tweeted his “deepest sympathies and warmth” to the families and friends of those who had lost their lives. 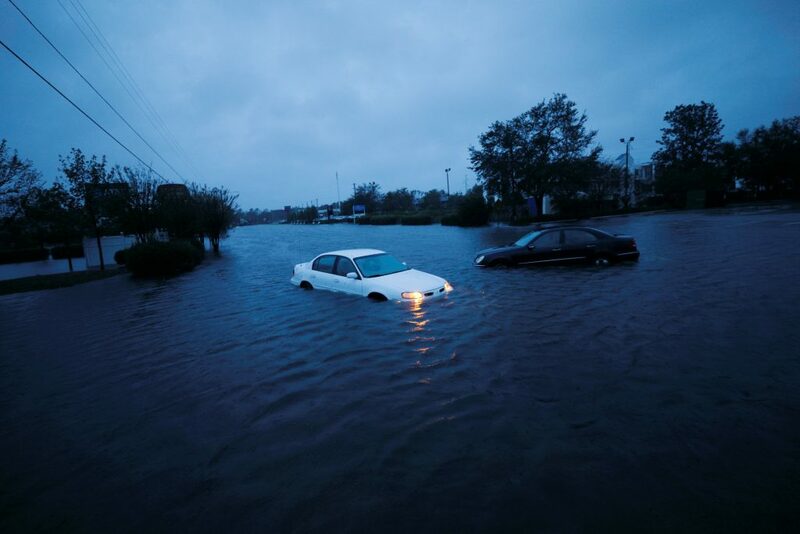 Up to 40 inches of rain are expected along coastal areas of the Carolinas and up to 10 inches in southwestern Virginia, it said.